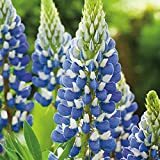 Blue lupin growing herbaceous of the genus Lupinus also known as Lupinus pilosus, Blue lupin annual used as nitrogen fixing plant, can grow in mediterranean, desert, subtropics or temperate climate and growing in hardiness zone 2-10a in the spring or 10b-11 as autumn planting. Leaves color green with hairy structure in the elliptic shape digitate structure 10 lobes. Flower color can be: blue-purple in pea flower shape. Pods color is green become brown when it’s ready there is 2-7 seeds, the seeds edible. 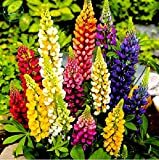 What can be done with big quantities of Blue lupin fruit?